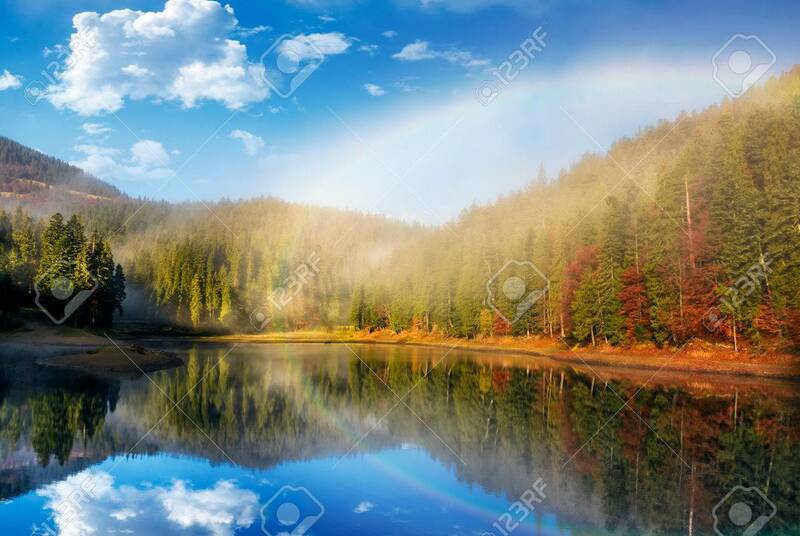 Rainbow Over The Picturesque Lake In Foggy Spruce Forest. Majestic.. Stock Photo, Picture And Royalty Free Image. Image 81202404.